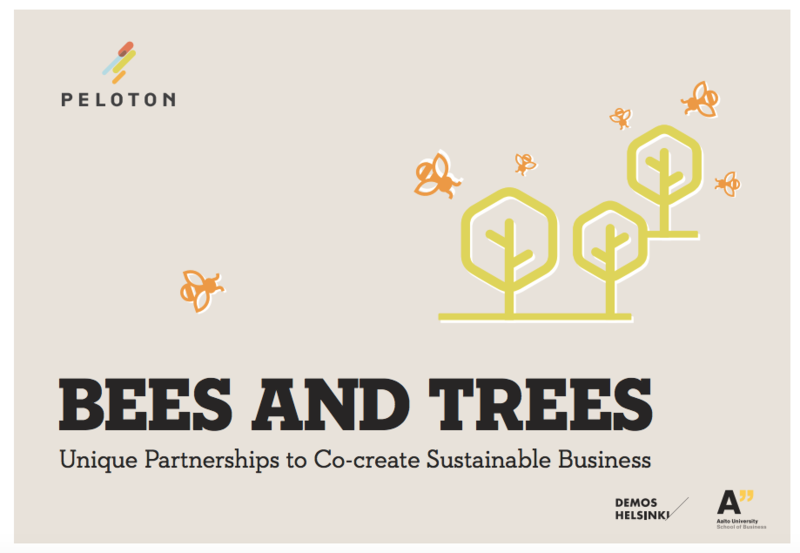 This manual presents a model for strategic partnerships between small companies (bees) and large companies (trees) for the co-creation and development of groundbreaking products and services. This need is particularly relevant in the field of consumer cleantech, where changes in consumer behaviour are often radical and systemic. Small companies and startups often have lots of exciting, fresh ideas, but lack the resources and/or knowhow for scaling. Large companies, on the other hand, often stick to established practices and are resistant to change. In addition, internal company accelerator programmes are often costly. Through cooperation, it is possible to mobilize cleantech-related ideas more broadly than through individual action. The model was developed during the Bees and Trees – project in 2016-2018. The project was run by Demos Helsinki and Aalto University School of Business with Bonava, Coor, Granlund, S Group and several consumer-cleantech-startups. Download the manual for guidance and information on how to create future partnerships with different actors.